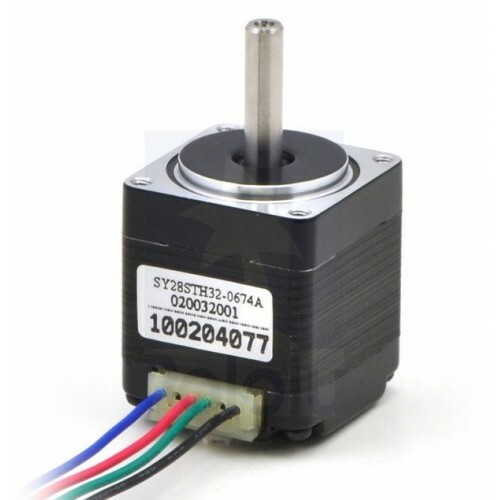 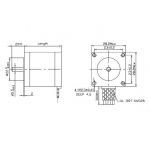 This Stepper Motor 200 Steps/Rev, 28x32mm, 3.8V, 670mA from Pololu is a hybrid bipolar stepping motor with a 1.8° step angle (200 steps/revolution). 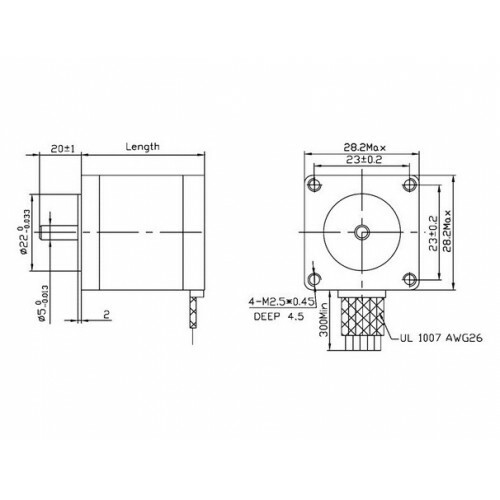 Each phase draws 670 mA at 3.5V, allowing for a holding torque of 600 g-cm (8.3 oz-in). 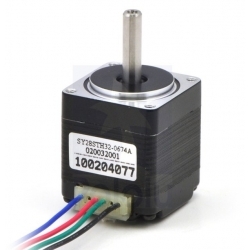 The motor has four colour-coded wires terminated with bare leads. 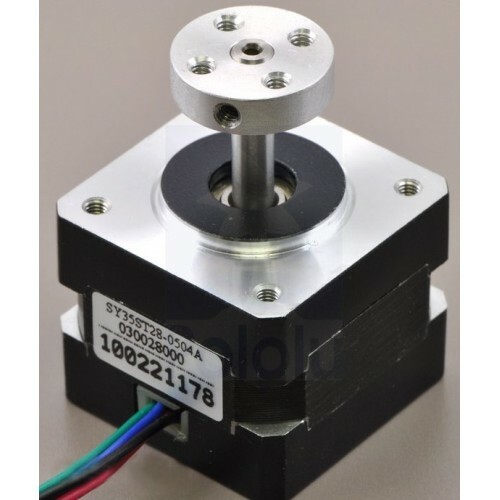 Our 5mm universal mounting hub can be used to mount objects on the stepper motor’s 5mm-diameter output shaft.